Halloween is different. We can celebrate the harvest as we do on Sukkot and on Thanksgiving. Pumpkins are a recognizable gourd, symbolic of the autumn harvest. Both Sukkot and Thanksgiving have additional themes of redemption: God sheltered us in the wilderness wandering from Egypt to Israel for forty years; the Native Americans shared food and food cultivation techniques with the Puritan pilgrims helping the pilgrims survive harsh winters. Halloween is different. Whatever its origins, we know that Halloween is not a Jewish holiday. What does that look like for our students? 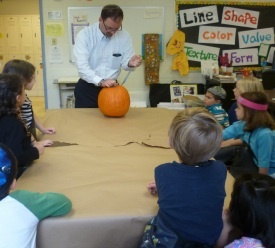 Halloween is, in no way, celebrated at school—no costumes, no candy, no decorations. Outside of school, however, I know is a different story. Halloween outside of school is a beautiful story about our school. 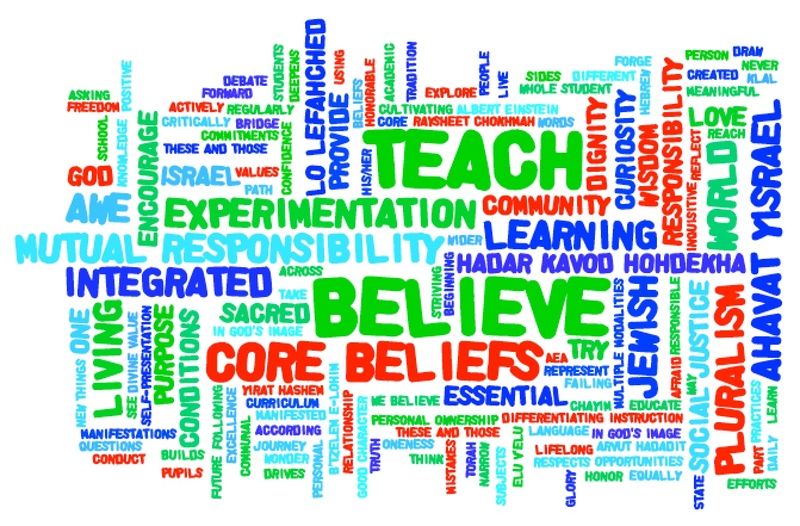 We are a pluralistic Jewish day school. What does that mean? In essence, it means that within a Jewish framework, we value multiple expressions of Jewish life. Perhaps more than any other Jewish institution in Delaware, we exemplify all that our community has to offer; we are the big tent under which there is room for all ways of being Jewish. The Pew Research Center recently published a study on the contemporary American Jewish community. Much ink has been spilled or pixelated in response. While many bemoan the rates of affiliation, religiosity, exogamy, etc., many others are buoyed by the vibrancy of choices people articulate. As a Rabbis Without Borders fellow, I lean toward the latter. Looking at our school, I know the strong basis for the optimistic reading. Where else do non-Jews come to study not only general studies but also Hebrew and Jewish values? Where else do you find Chabad and traditional Jews enjoying a great curriculum of secular studies with Jewish holidays off? Where else do Israelis send their children to learn their mother tongue and English? Where else do children learn the many different ways Jews pray and why? Where else can a child ask questions about any of the above and get an answer? My answer: a community Jewish day school like Albert Einstein Academy! So, don’t be surprised if some students take serious measures to avoid Halloween and others dress in costumes and go trick-or-treating, if some students stay home and consciously hand out treats to neighbors and others go door to door collecting money for UNICEF, if some students carve jack-o-lanterns and others retire their Sukkot ya’acov-lanterns, if some students decorate their home and others darken it, or if some students go to sleep as if October 31st was just like any other night. That is who we are: all these sources of practice brought together to learn how to be together. Oh, if you want to learn more about one aspect of Halloween in the context of our curriculum theme for the year–“Einstein Goes South of the Border”–check out Mexican artist José Posada’s satirical skeleton lithographs, which were later incorporated into dia de los muertos. If you missed the first DVLI conversation about the Pew study this Thursday morning, the Siegel JCC is hosting another Wednesday, October 30th at 7pm.